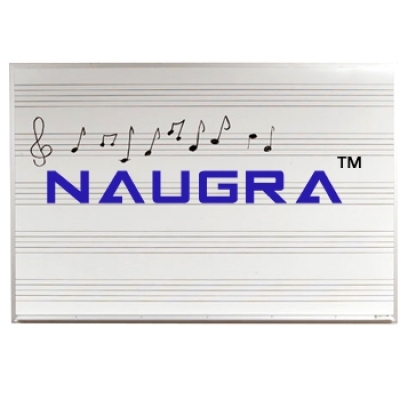 Music Whiteboards - Wood frame or anodized Aluminium frame with rounded plastic corners, Magnetic and Non-Magnetic. Available in standard size or custom make boards within the sheet size range. Customize with your Logo & Artwork..
We are leading manufacturers, suppliers & exporters of Music Whiteboards for Whiteboard Lab. Contact us to get high quality designed Music Whiteboards for Whiteboard Lab for schools, colleges, universities, research labs, laboratories and various industries. We accept bulk orders for government tenders in all countries around the globe. For similar products visit at main page of Whiteboard & Boards.